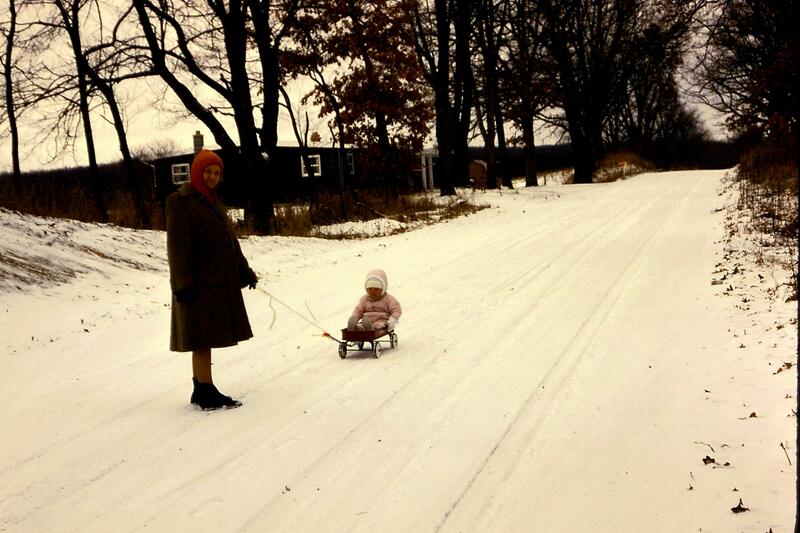 Grandma Dora pulling my sister in a wagon on a snowy day. Maybe she couldn’t resist being out in the snow either. The snow is perfect right now. It has been for days and I can’t seem to keep myself from going outside. I know I have work to do inside, but when I look out at the snow sparkling in the sunlight, I just can’t resist. I’ve been cross country skiing or sledding with my friends and family (and even by myself when no one else was available to go) almost every day this week. So, I honestly haven’t taken a lot of time to bake this week, but when I did bake, I decided to go with my all time favorite. I’ve made a lot of cookies in my day. In fact, I’ve made a lot of chocolate chip cookies. 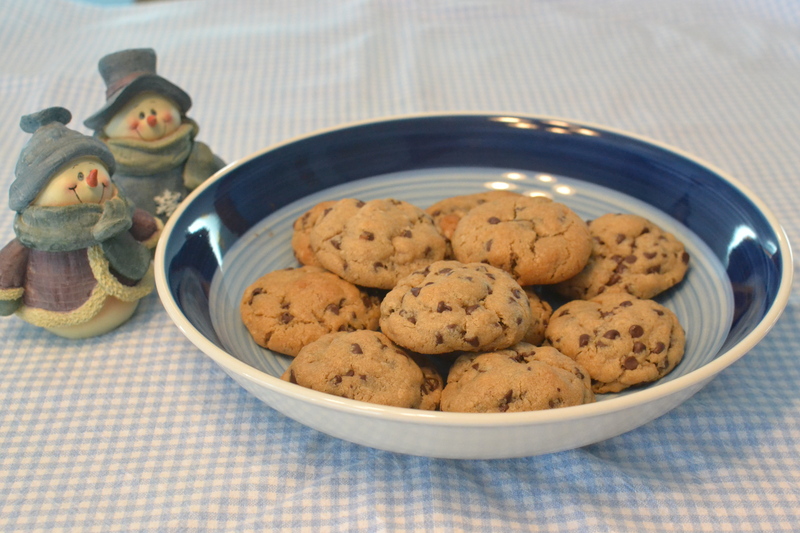 But, this is the one cookie recipe that I always come back to. It is simply the best. How could you go wrong with the combination of chocolate, peanut butter and oatmeal? Well, I’ll tell you – you can’t go wrong. Just like the snow that’s on the ground right now, it’s perfect. My sister and my nephews are coming over today while my brother-in-law goes with some of his friends to the car show in Detroit. I decided I would make them some chocolate chip cookies for a treat when they came. 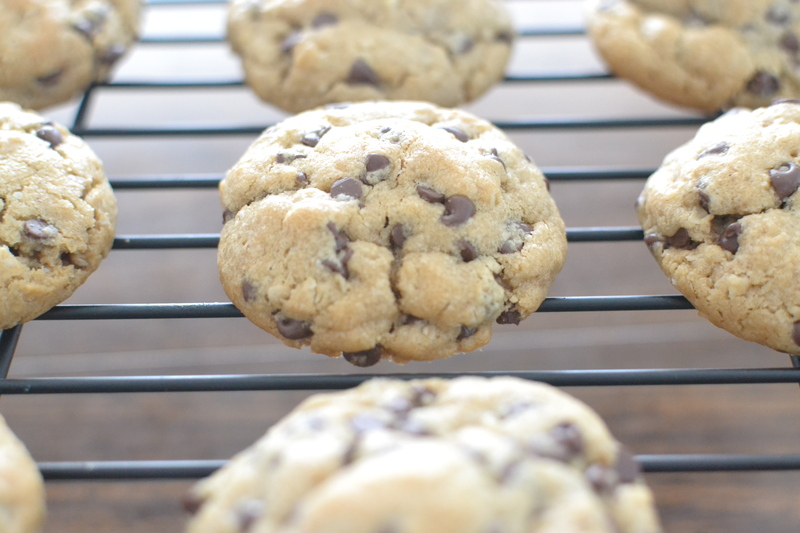 But, not just any chocolate chip cookies – peanut butter chocolate chip cookies! 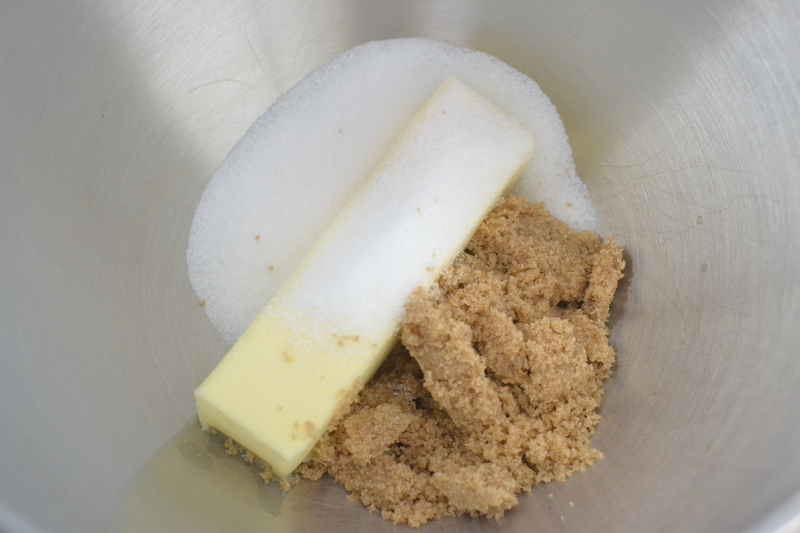 In a mixing bowl, cream butter and sugars; beat in peanut butter, egg and vanilla. 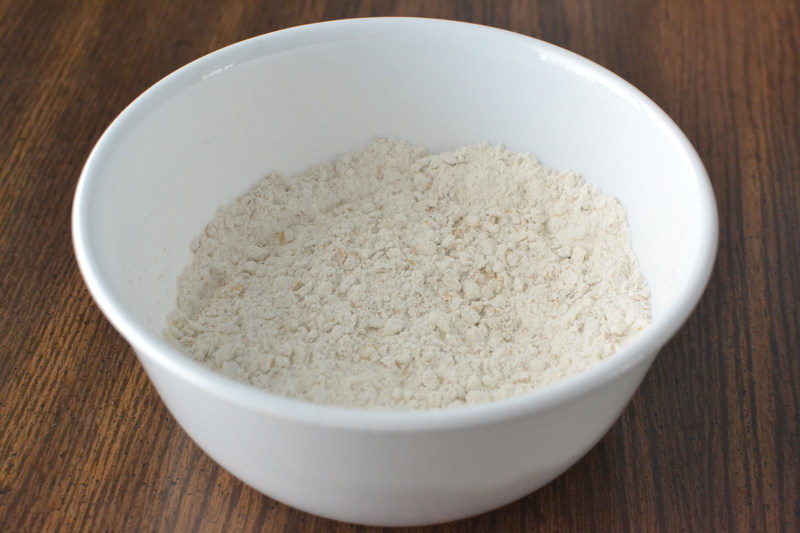 Combine flour, oats, baking soda and salt; stir into the creamed mixture. Stir in chocolate chips. 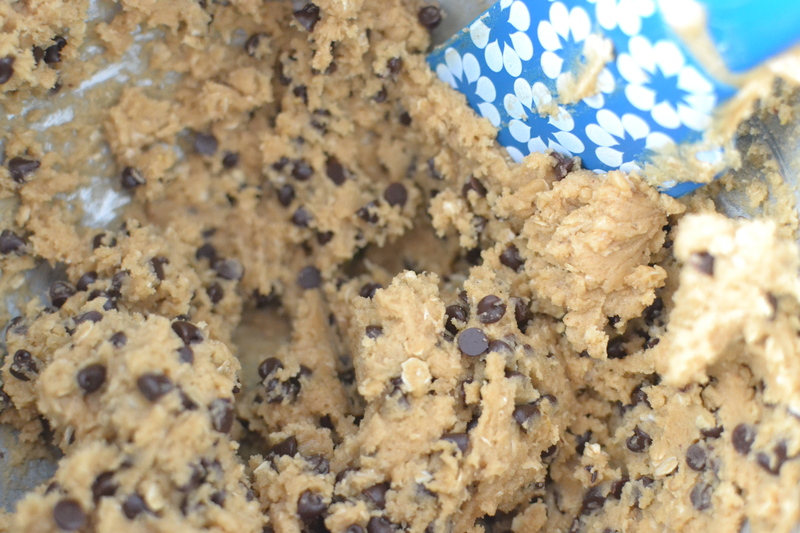 Drop by rounded tablespoonfuls onto ungreased baking sheets. Bake at 350 degrees for 10-12 minutes or until golden brown. Cool 1 minute before removing to a wire rack. Yield: 2 dozen. First I creamed the butter and sugar together. 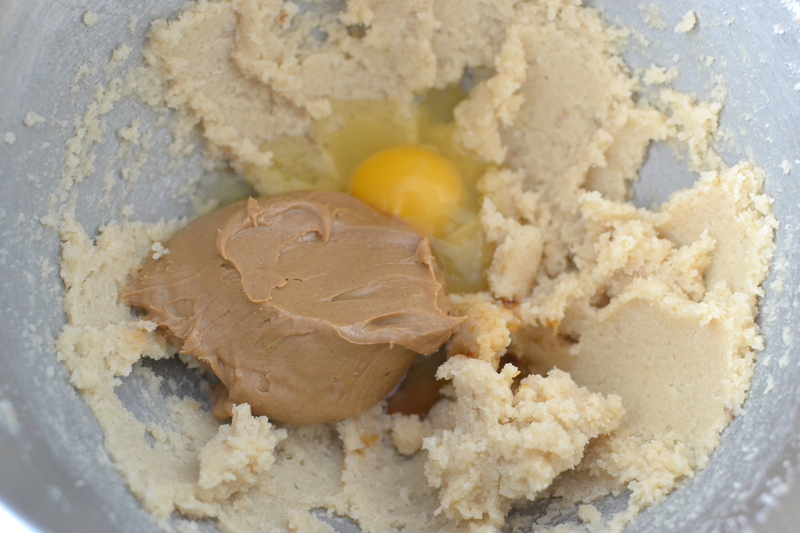 Then I beat in the peanut butter, egg and vanilla. 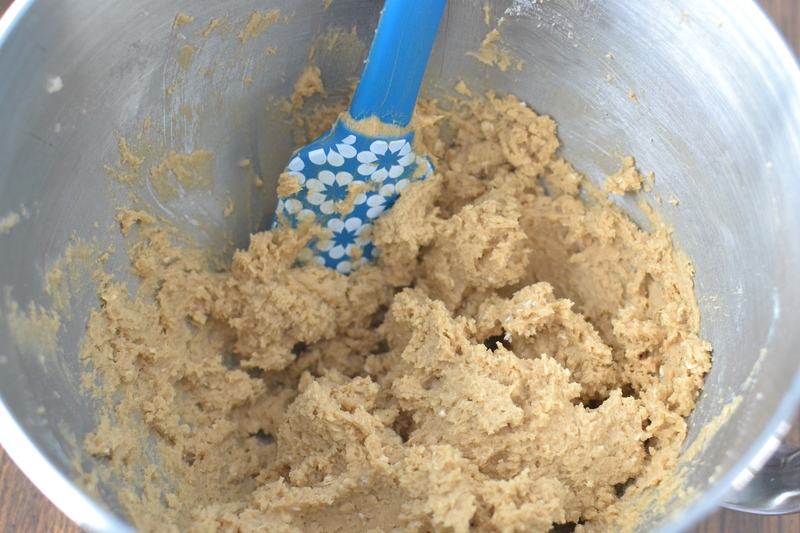 I stirred the dry ingredients into the wet ingredients until I had a nice cookie dough. 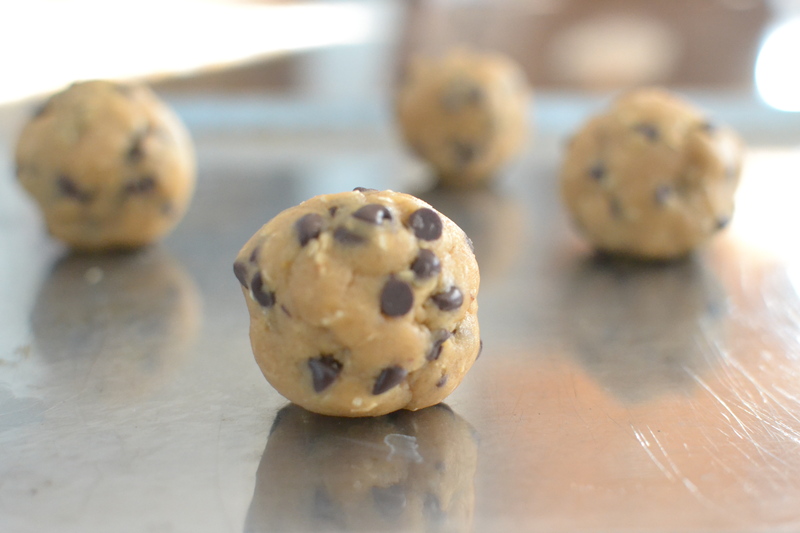 Next came the chocolate chips. Doesn’t it look good enough to eat? After that I rolled it into balls and put it on the cookie sheets. I baked them at 350 degrees for 10-12 minutes. They turned a lovely golden brown. I cooled them for a minute, then moved them onto a wire rack. They smelled delicious! I’m sure that when my sister and nephews get here, I’ll try to coax them outside to play in the snow. And, maybe when we come inside all wet and cold and happy, we’ll have a snack of milk and peanut butter chocolate chip cookies. 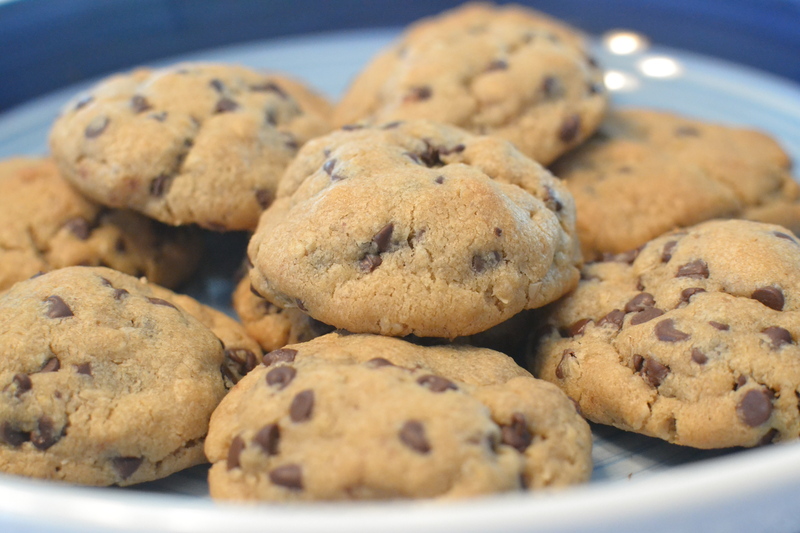 You just can’t go wrong with these cookies. They are simply the best of the best! You really have to try them! 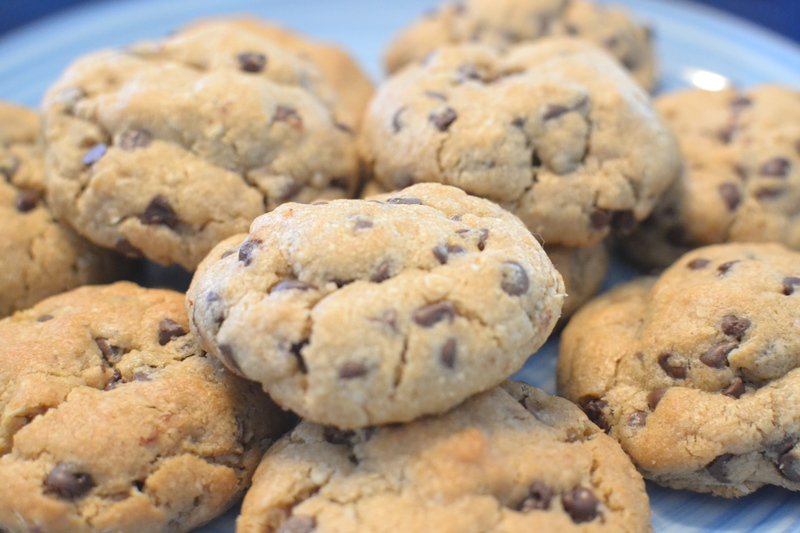 This entry was posted in bonus recipe, chocolate chip cookies, Cookies, oatmeal, oatmeal cookies, Snacks and tagged baking, Chocolate Chip Cookies, Chocolate Chips, Cookies, dessert, dough, home baking, homemade, Oatmeal, Peanut Butter, scratch baking by GrandmothersRecipeBox. Bookmark the permalink.